Where did May go? Just a few more weeks until it's officially Summer. I'm both excited-- always nice to take a break from routine. And scared-- keeping 2 young boys entertained for a whopping 11.5 weeks. Yep, I counted... 11.5 weeks is a long stretch of time. Eep! 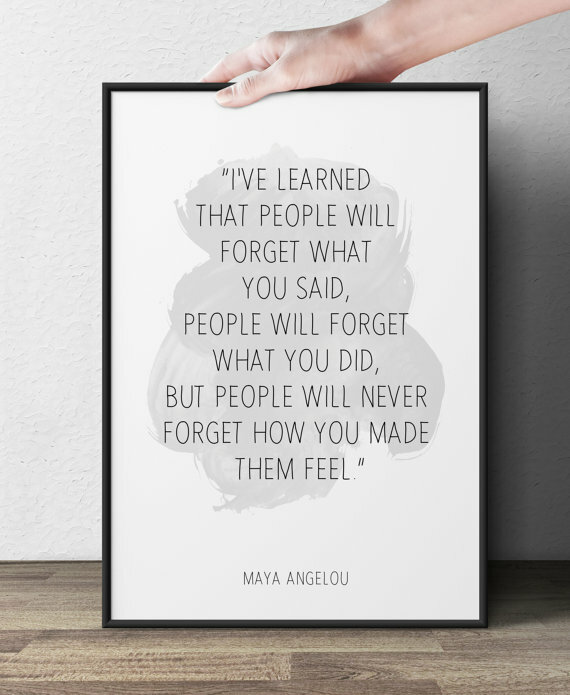 Maya Angelou will be remembered for many wonderful things, but what always resonates with me is her phenomenal, yet simple, statements about life. What an amazing person. I am re-reading her book this week. Although she may be physically gone, I love that her words of wisdom will live on forever. Do mean adults start out as mean children? Are you worried about how middle school kids behave? Maybe we should be more concerned with our preschoolers' behavior… Here's an interesting read-- It's never too young to teach empathy. Bright colors are a good pick-me-up. These colorful melamine plates would be a perfect for a summer get together. I love Marimekko's bold patterns and just discovered their collaboration with Banana Republic. My friend has this dress and, if you like fit & flare, it is very figure flattering. Also, if you like to decorate with bold colors and graphics, check out their ongoing collaboration with Crate + Barrel.